The No. 1 Duke Blue Devils moved to 5-0 with a 78-72 victory over the Auburn Tigers on Tuesday night at the Maui Invitational (Auburn deserves to be credited with a win for just hanging with this Duke team). 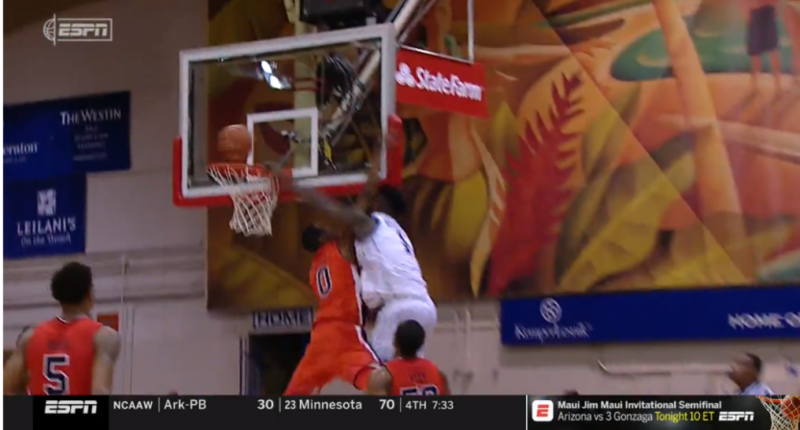 Zion Williamson continues to amaze on both ends of the floor with the otherworldly athleticism he creates from a 6’7″, 285-pound frame. And on Tuesday night, Zion made jaws drop on a play he didn’t even complete the dunk, though he likely would’ve if he hadn’t been fouled.